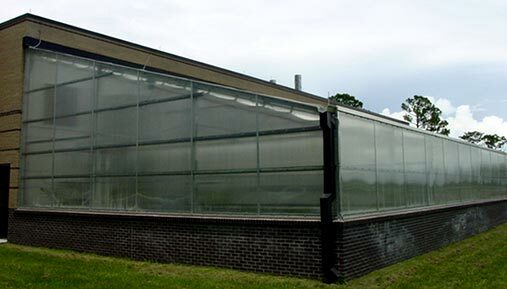 When special situations demand creative response, United Greenhouse Systems has been able to engineer, design, and produce unique sizes, shapes, and equipment to address the objectives of our customers. Whether the need is appearance or function, United looks forward to helping you meet these specialty situation needs head on. This Ambassador Crown structure features a Hip Roof for additional frontage angle views, colored powder coated painting for structure members and aluminum trim, and clear glass front wall coverings on top of a customized kneewall. This span of Capitol Crown structures features a rare shade, outdoor curtain covering and opts for no endwall posts or walls to facilitate easy access in and out. 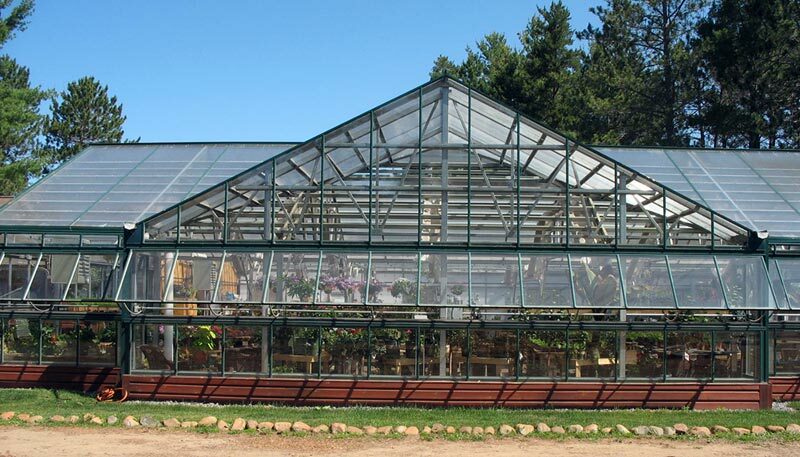 This traditional style Ambassador Crown structure incorporates metal paneled endwalls on a polycarbonate covered greenhouse. 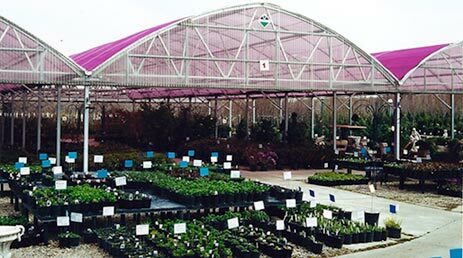 Custom sized, Lean-To styled greenhouses are readily available from United Greenhouse Systems. 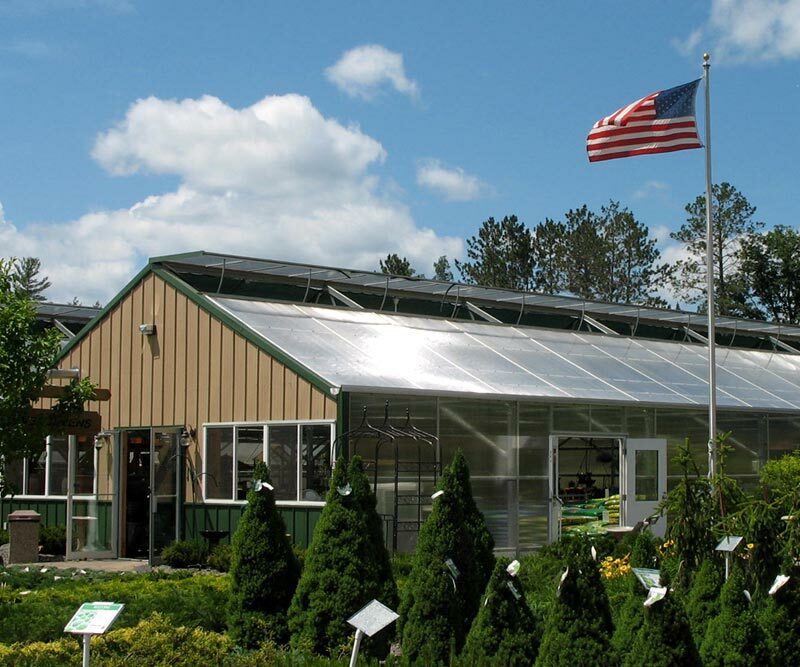 Copyright © 2010 United Greenhouse Systems, INC.